Need the ultimate Vitamin C jolt for your morning? Try this! 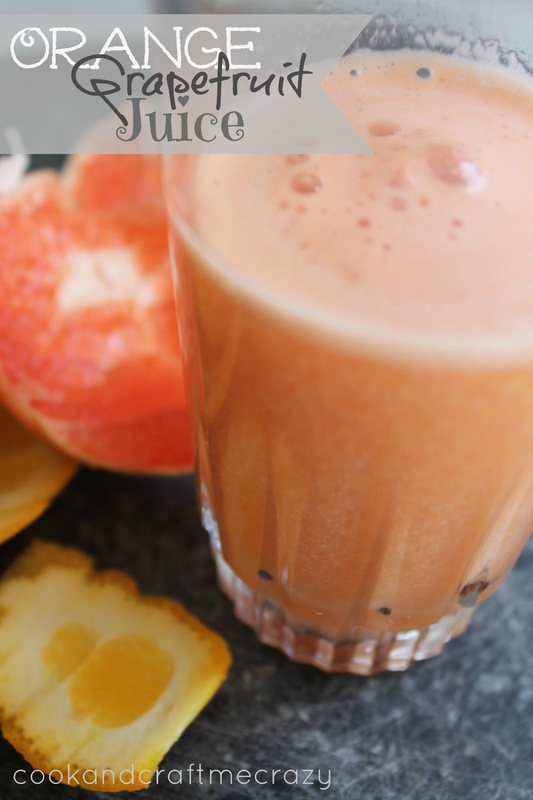 This is a delicious tangy juice you will love. If you love oranges and you love grapefruit this is for you! Grab your juicer you hardly ever use and grab a pink grapefruit and an orange. Don't forget to take the peel off (if you leave the peel on, the after taste is like you have just crunched a Vitamin C pill in your mouth! Ewww! Believe me I have done it!). Its always faster for me if I use a knife and cut the peel off. Stick your now peeled grapefruit and orange in the juicer. When it comes out, stir stir stir and drink drink drink! DELSIH!